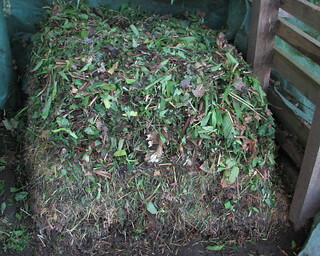 Autumn’s gardening tips #3: compost like mad! Feeling the turn in the air now? Do up your boots, throw on a jacket and get ready to compost! First things first: do a final turn to the compost bins to let in more air.The semi-rotted stuff half filling the bins may be too wet or too dry to be ideal, so remake it like lasagne: into a new bin put a layer of dry then a layer of soggy and so on. 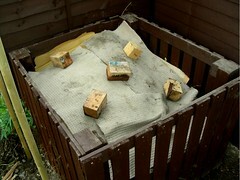 If it’s all too wet add some crumpled cardboard or newspaper. …and if all of that hasn’t worn you out, you can always get thinking about a Halloween pumpkin! Help make Brighton & Hove Pesticide free! A personal quest: Can organic farming grow enough to feed the people?